this is how we fiesta. Everyone loves a taco party! Dinner al fresco lives on in my God-sister’s backyard to celebrate her birthday! 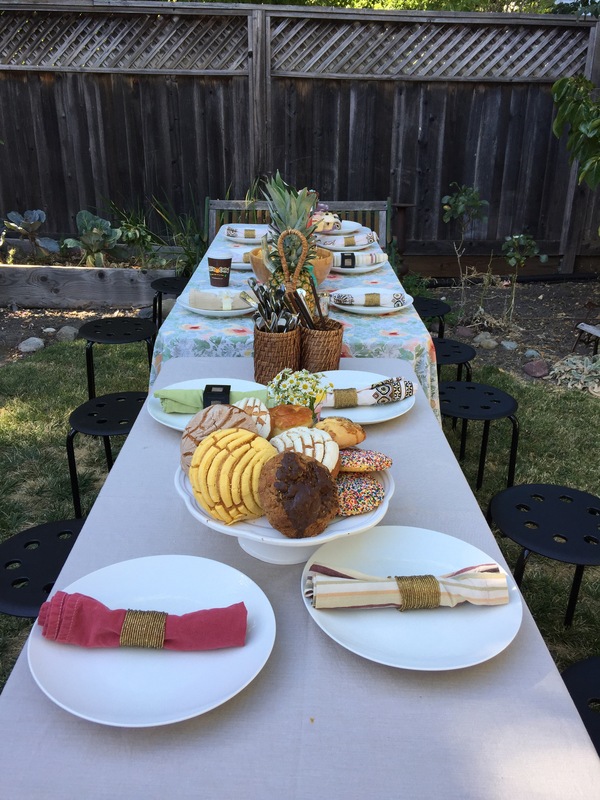 We set the table with legit plates, napkin rings (cause we fancy), and desserts…lots of desserts. 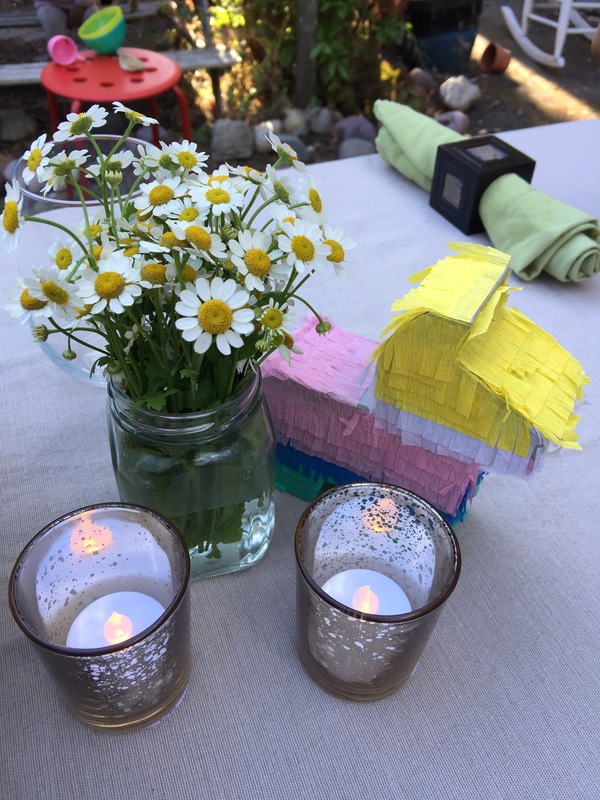 For our centerpieces we put together tiny vases of chamomile flowers, faux candles, and mini piñatas filled with more sweet treats. For our taco bar we picked up meat from Mi Tierra in Berkeley, and grilled up some vegetables. We had homemade salsas, guacamole, and aguas frescas, and all the taco fixin’s. And it wouldn’t be a fiesta without some honeycombs and photoprops. 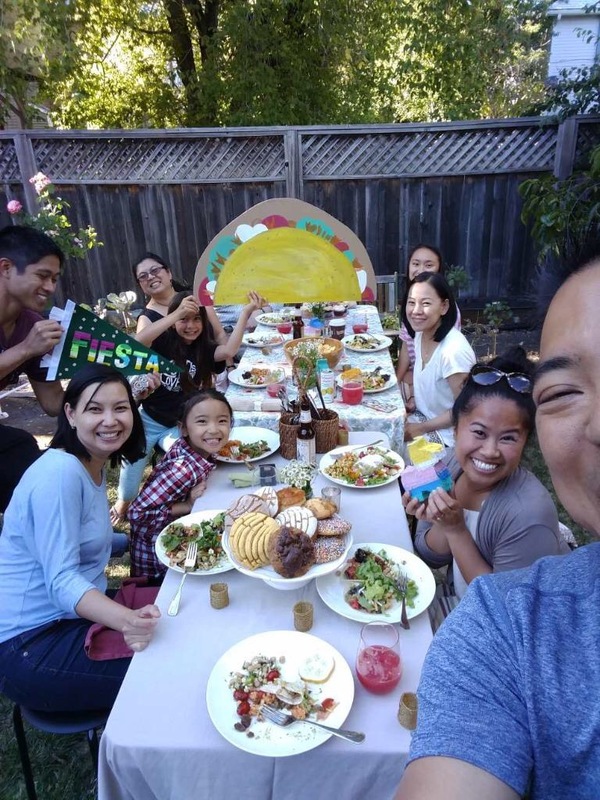 Group selfie with giant taco! Happy Birthday, my sister from another mister! How do you backyard bash? Share your party secrets below.